Troupe Vertigo's shares it 6,000 square foot facility in Los Angeles with it's sister company, Cirque School, where the Troupe Vertigo artists share their gifts of teaching with recreational students, amateurs and professionals. CIRQUE SCHOOL uses training, performance, and community outreach to inspire an appreciation for the circus arts in a supportive, non-competitive environment. Cirque School welcomes individuals of all ages, sizes and abilities. 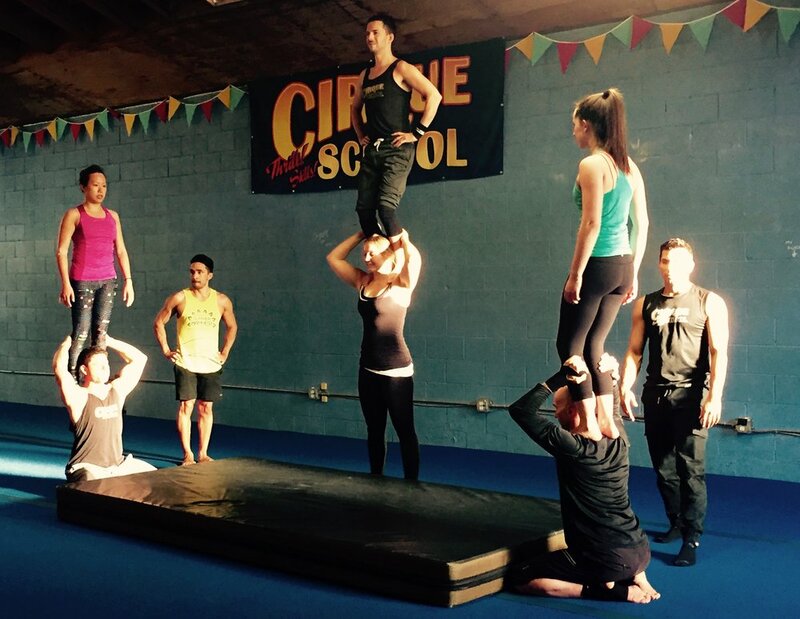 Encompassing over 50 weekly classes to the public, student performances, team building workshops, pre-professional intensives and television and film projects, Cirque School thrives as the premier Los Angeles circus arts studio. Residencies and Master Classes and are an deal way to utilize the expertise of our performing artists by offering a wide variety of skills to various levels. Whether teaching youth or professionals our performing instructors are equipped to keep participants safe while expanding their experiences. Since the performers are Cirque School Instructors they are well versed in teaching Anybody with Any Body the complex yet exhilarating skills of the Circus Arts. Various custom-designed educational programming is available including for the pre-professional to professional levels allowing for more comprehensive training. Whatever the age, level or chosen discipline emphasis on team-work, trust and empowerment is at the heart of our programming. 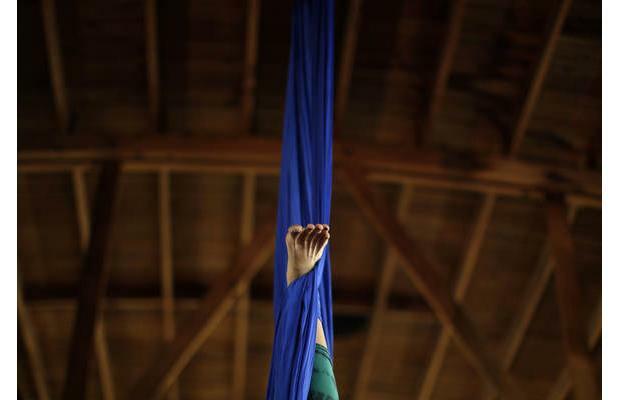 Aerial 101 - An introduction to the aerial arts including Trapeze & Hammock. Acrobatics & Hand Balancing 101 - An introduction to inversions on the floor and how to create and control momentum. 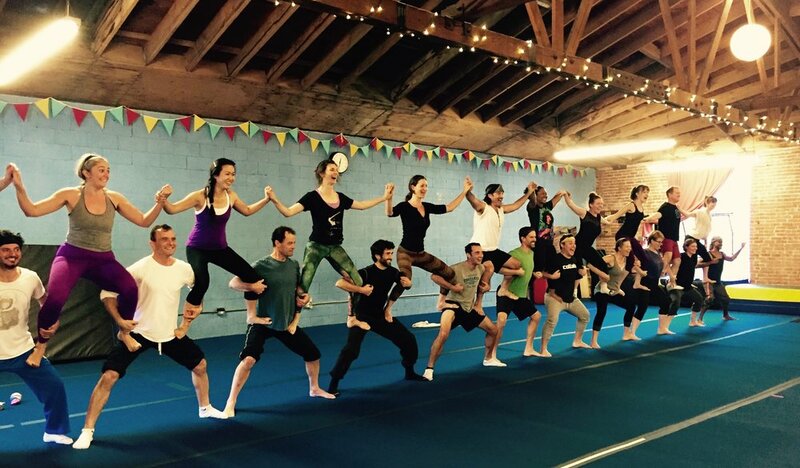 Partner Balancing- Duos and Groups learn how to fly and base one another to create impressive counter balances. Lessons in trust and clear communication are key making it a great Team-Building Workshop. Injury Prevention for Dancers- Learn numerous ways of warming up the body and keeping it injury free though the use of Thera-bands, Foam Rollers and Fit Ball. Extreme Flexibility for Dancers- Learn how to safely stretch the body to it's limit while keeping proper alignment through "Active- Flexibility" training. Aerial Dance- Dancers learn to use their keen awareness on the floor by defying gravity in the air. Participants will learn to spin, circle and fly by using the ground to initiate momentum. Acrobatic Partnering Teacher Seminar- Learn to instruct and safely spot your students in beginning to intermediate maneuvers.